(Newser) – Sandwich lovers may soon have to drive a few more miles more for their footlongs. 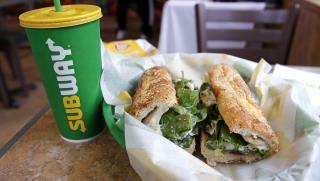 Bloomberg reports that Subway Restaurants will be shuttering 500 or so of its US stores, leaving about 25,400 open. (No specifics yet on which locations are closing.) This latest round of closures follows shutdowns in 2016 and in 2017, with about 800 last year. "We focused in the past on restaurant count. We're focused now on strengthening market share," says Subway CEO Suzanne Greco, who adds she's in for the long haul: "Subway is in my blood." Based on the comments nobody likes that lump called a "sandwich"